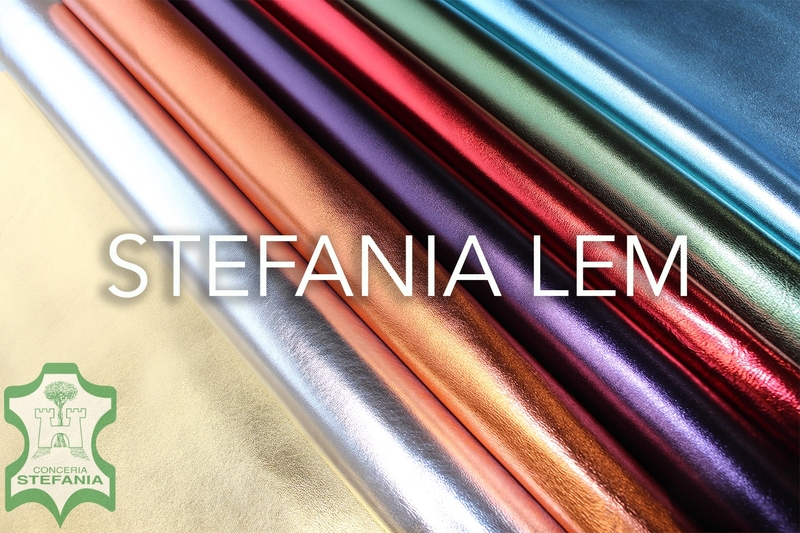 Stefania Lem are gorgeously ultra-soft kids skins stylishly finished with a foil metallic. Lem by Stefania is sold for high end luxury leathergoods. For more colours and the the current seasonal shades please contact us and visit our warehouse to look through the catalogue.